Meet Richart Sowa, visionary. At face value he could be the craziest character on a sit-com, but it turns out there’s a great method to his alternative lifestyle. He decided he could make an island out of normally disposed-of materials, and he actually pulled it off. 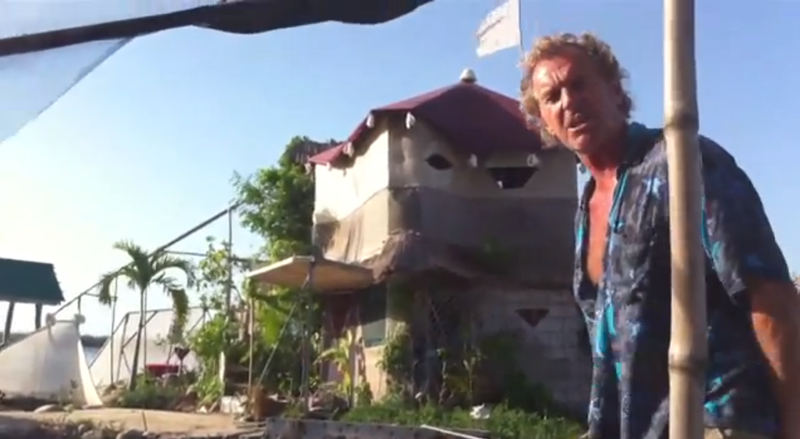 Not only does he have a floating piece of “land”, but a very suitable home on top of it. Now I’m no engineer or ocean scientist, but this seems pretty solid to me. Obviously the biggest immediate danger would be major weather events, but perhaps in places where those are less likely to happen, we might see some more of these cropping up. This guy may be a true pioneer.